COMPOSITION: maize, dehydrated poultry protein, rice, vegetable protein isolate*, wheat, animal fats, hydrolysed animal proteins, vegetable fibres, beet pulp, minerals, soya oil, fructo-oligo-saccharides, yeasts, fish oil. ADDITIVES (per kg): Nutritional additives: Vitamin A: 14700 IU, Vitamin D3: 800 IU, E1 (Iron): 50 mg, E2 (Iodine): 5 mg, E4 (Copper): 5 mg, E5 (Manganese): 65 mg, E6 (Zinc): 194 mg, E8 (Selenium): 0.11 mg - Preservatives - Antioxidants. ANALYTICAL CONSTITUENTS: Protein: 27% - Fat content: 13% - Crude ash: 7% - Crude fibres: 4%. *L.I.P. : protein selected for its very high assimilation. Easy ordering and fast shipping! Loved making an order with this company. 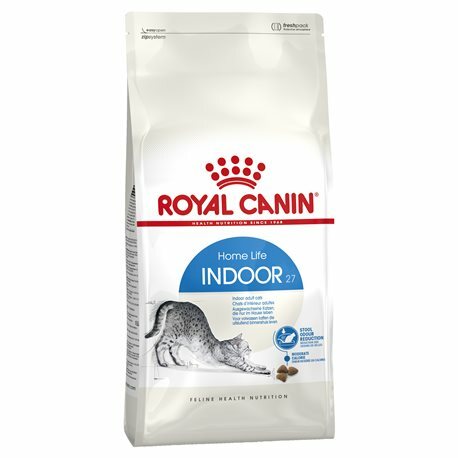 My cats love this kibble! This product is perfect for my pets. The biscuits are a good size and the cats really like the food.